Our Summit Day of Service gives every Summit team member one paid work day a year to volunteer their time in our community on behalf of the Bank with any nonprofit organization in Sonoma County. This time could be spent sorting food at a food bank, helping seniors, tutoring youth, being a teacher's assistant at their children's or grandchildren's school or volunteering with any organization our team member is passionate about. 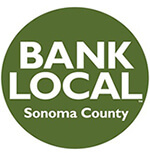 Actively participating in improving our Sonoma County community is an essential part of our culture here at Summit State Bank. - Dream One World, Inc.
Outside Link Disclaimer: This page contains links to other web sites which are offered only as pointers of sources of information on subjects that may be of interest to users of our website. 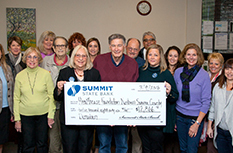 Summit State Bank does not imply any endorsement or responsibility for the ideas, opinions, information, products, or services offered at such sites. Use of links to a non-bank site is solely at the users own risk. Summit State Bank is not responsible for the content at such sites and has no control over what is displayed.